Read the original posting from USRowing here. University of California, Cornell University and Stanford University ranked first in this week’s men’s heavyweight eight, men’s lightweight eight and women’s lightweight eight USRowing Collegiate Coaches’ Polls, respectively. 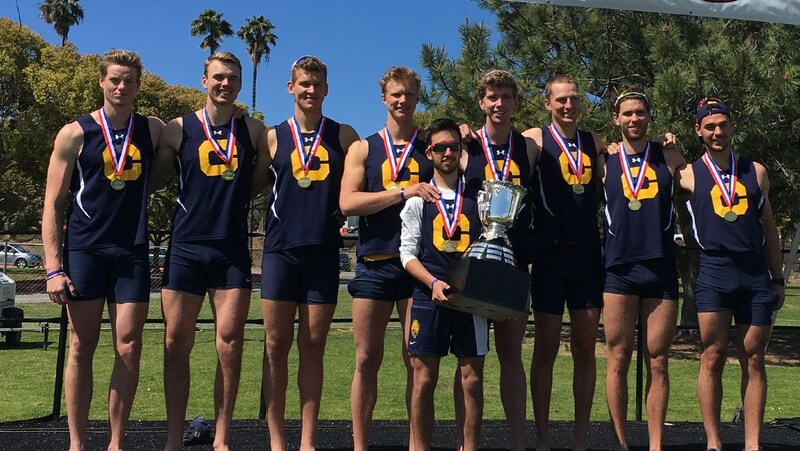 Coming off of a victory at the San Diego Crew Classic, California took over the top spot in a tight men’s heavyweight eight poll. Cal earned three first-place votes. Harvard University ranked second, followed by a four-way tie for the third position between Yale, Washington, Princeton and Northeastern. Yale received one first-place vote, while Washington received the other two. Cornell remained atop the men’s lightweight poll, receiving five of eight first-place votes. Princeton ranked second, followed by Yale, Harvard and Penn. Princeton, Penn and Delaware each received one first-place vote. In the first women’s lightweight poll of the season, Stanford University was the unanimous top choice, earning all five first-place votes. Harvard-Radcliffe ranked second, followed by Princeton, Boston University and Wisconsin. Others Receiving Votes: Oregon State University, Temple University, Hobart College, Santa Clara University, and University of Virginia.